I never thought I would ever be writing a letter to you both. You just turned two this year and I know there is still time for you to grow up enough to be able to read and make sense of this letter. But there are a few things that I want you both to know and understand – in fact, the sooner the better! And so I am penning down this letter that would hold a lot of relevance for you both in the years to come. You are ‘twins’ and you share a special bond. Your dad and me find ourselves supremely lucky to have you both in our life. Honestly, we weren’t expecting you two together and the initial days took us by a big surprise. We were nervous, anxious and uncertain whether we would be able to give you both a good life. We were confused thinking how much justice would we be able to do raising you two together. But it didn’t take us long to understand that you two are a miracle of God and the biggest gift we could ever get. I still remember the moment we heard the two heart beats, we fell in love with you instantly. It was our moment to realize that we were the ‘chosen ones’ by the almighty to have been blessed in a special way. Yes, we feel extremely special being the parent of twins and am sure when you grow up you would feel special too. You not just share the same date of birth but also share similar spaces- right from the days of my womb. And so your bond is much different and unique than the other usual sibling bonds. In your life there would come many moments when you would love being twins. You would enjoy the attention you get every time you step out of the house. You will probably experience all the ‘firsts’ of your life together and so for every new journey that you embark upon, you would never feel alone. You will always have each other’s company to cherish and enjoy. You will find in each other a best friend to share all your joys and worries and you will probably thank your stars for the same. But there would also come moments when you will hate being twins. You would hate the special but ‘divided’ attention that you receive. You may hate the points of comparison, judgement and expectations that society will place upon you. You probably would hate the fact that the perpetual company you are bestowed with is not by choice but by destiny. Well, being ‘twins’ is no easy feat and there is a lot you may have to deal with. But let me tell you no good or bad moment would take away the uniqueness and glory of your twin bond. It will be special and forever remain so. Hence, it’s all the more important for you to cherish your twin bond and live it fully. Simply accept each other with open arms. Love each other and more so respect each other for the fact that you are similar yet different. Remember, you may have similar likings but different choices. You may have similar interests but different beliefs. Your individuality is as precious as your twin identity. So be what you are and assert your individuality. Help each other grow but do not impose your views on one another. Guide each other but do not influence nor get influenced. You may hold each other’s hand and walk together, may be in the similar direction but never try to match each other’s steps, for that will only make you tired and restless. Support each other, help each other excel but on the individual paths you have chosen your yourself. This way not just would you continue to love each other but would also enjoy the bond you are blessed with. As far your dad and me are concerned, we will be there for you always, supporting your dreams and helping you achieve them. We love you both equally, so better don’t ask the most dreaded question which the world keeps asking us- ‘Who is your favourite amongst the two?’ For you both know what’s the answer! You two form our world and we derive our happiness from your twinkling eyes and giggling smiles. So always keep smiling and shining like a star. And help each other shine too for your bond is that glitter which adds brightness to our world. If you are a parent of twins, you would know the significance of the term ‘twin bond’. Share your views on how you nurture it and help it grow. I am happy to be participating in a five day ‘LOL-a-thon’ organised by ‘The Momsteins’. Stay around to read some wonderful letters written by 27 cool bloggers. 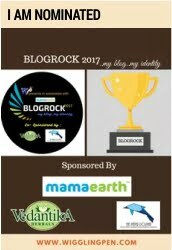 This post is based one the first prompt of this Blogathon which is -‘ A Letter To Your Parents/In-laws/Kids’. I choose to write an open letter to my twin munchkins asking them to always cherish their twin bond. I would like to thank my dear friend Prisha aka Mummasaurus for introducing me. Head on to her page to read her beautiful post. I would also like to introduce my fellow blogger Archana who has also shared a wonderful letter on the same prompt. 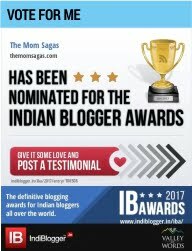 Read her post on her blog, TheIndianParenting. Such a heartfelt letter Charu. I loved the Italic end note. Trust me today they may not get the essence of this letter bib take a print out of this and give it to them when they are old enough to understand this. It will be the most precious gift. Such cute twins. You guys are truly blessed ☺ 😊. I love the beginning quote. I have copied it. I had twins that are separated by heaven! This is very sweet and they should make the most of the special bond they share! Your twins are absolutely adorable! Such a sweet letter from Momma to babies! I always think that being a twin is so cool! I definitely agree that cherishing that bond is so important! Being a mother of twins myself, I think this letter is absolutely spot on! It is conversation I too have had with my now not little anymore babies. Such a beautiful letter. Twins have such a strong bond and I love that you remind your twins to accept eachother for who they are! I have twin nephews who are no less than sons to me. I understand your emotions and feelings behind each and every word. Reading your letter was an emotional rollercoaster ride. this was a beautiful read Charu. i have always believed that its destiny that our child chose to be born via us and your two children chose you. the bond of twins is sacred indeed and no matter where they are in the world they are always tied to each other. I am sure once your twins will be old enough to understand the emotions of this letter, they will have a precious smile on their faces. Lovely write up. Cherish the bond munchkins. They are too cute. I guess when you have a twin you have a best friend for life that too from birth! I may not understand the feeling as I am the only child but as a mother of 2, I know the bond they can have. Loved the post and your munchkins are adorable.